Hoosier Energy’s power supply balances reliability, affordability and environmental stewardship. To balance varying levels of electric demand while ensuring reliability, we need a variety of generation sources. The way we develop and utilize power supply sources continues to change based on the needs of our member cooperatives. Hoosier Energy adopted a voluntary Renewable Energy Policy in 2006 to provide 10% of member system energy requirements through renewable energy resources by 2025. Hoosier Energy may sell renewable energy credits from the renewable portfolio to its members or third parties. Hoosier Energy may also purchase renewable energy credits to meet or maintain renewable goals. Our resource portfolio continues to evolve and diversify to meet our member’s needs and keep the grid secure. Since 2000, our power supply portfolio has grown about 60 percent, adding both natural gas and renewable capacity. In 2000, coal provided 100 percent of member energy needs. 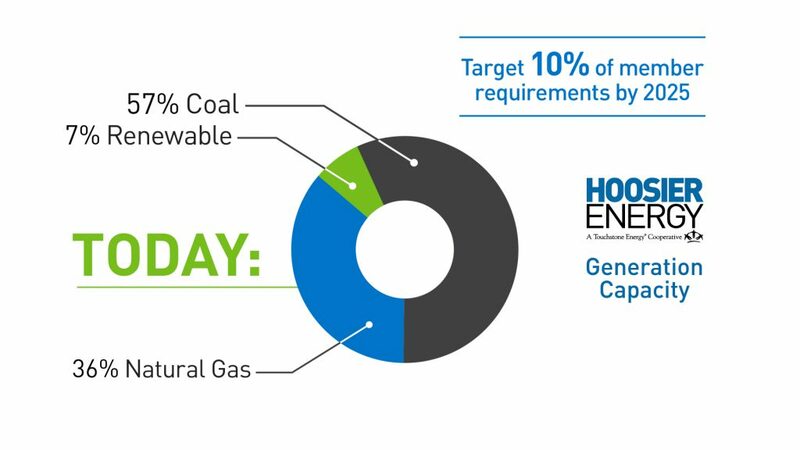 Today, coal represents a little over half the capacity of our power supply portfolio. Hoosier Energy’s three natural gas plants add power supply flexibility to the portfolio. These plants help us cost-effectively match fluctuations in demand patterns with the appropriate power generation source. They also help us meet reserve requirements. Renewable energy is Hoosier Energy’s fastest-growing source of new generation. 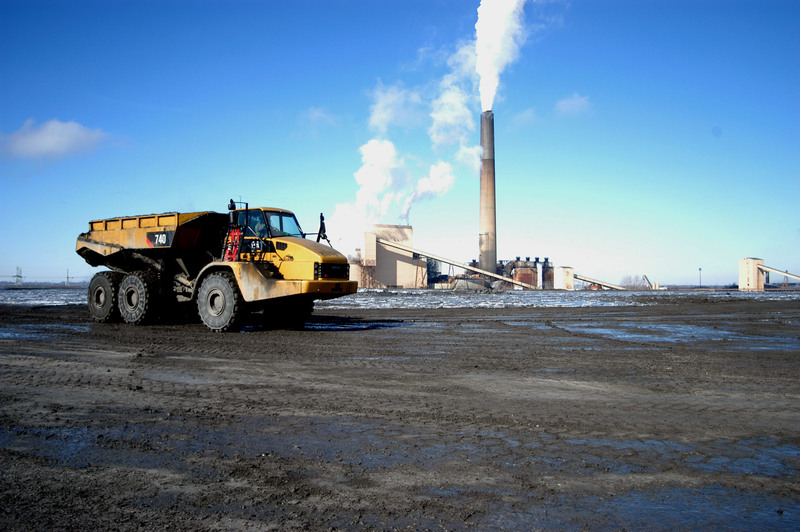 A solar program, three high-capacity landfill gas facilities as well as power purchases for wind and hydropower complement our coal and natural gas resources and energy efficiency programs. Together, they provide the best balance for electric service reliability, affordability and environmental stewardship. 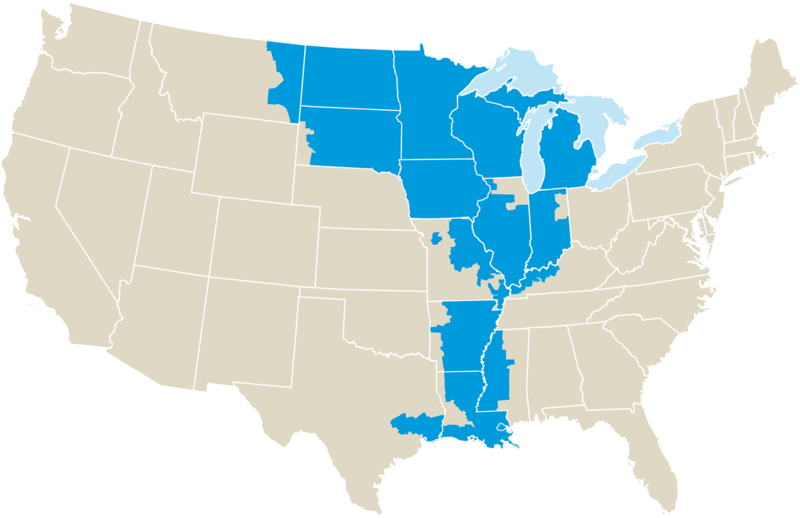 The electric grid is a constant balancing act, and Midcontinent Independent System Operator (MISO) is the regional market where we buy and sell our power. Our power market team buys the power necessary to serve our 18 member systems (our load demand). Once our demand is met, the team then sells our generation capacity back into the MISO market. This relationship gives us and other Generation & Transmission Cooperatives equal access to the transmission grid and transparent pricing, directly improving the efficiency of the power market and maintaining significant reliability for the system. When consumers use strategies, products and technologies to reduce consumption, everyone benefits. Energy efficiency programs continue to incentivize consumers to use less electricity through more energy efficient lighting, water heaters and heating and cooling systems. The effect of consumer energy savings adds up and is a powerful alternative to adding new generation and economically managing system demand.